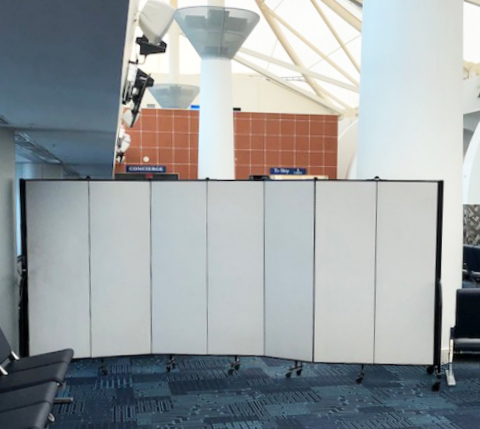 Uses: Crowd Control, Other Markets Colors: Gray/White Lengths: 11 panel 20'-5", 7 panel 13'-1" Heights: 6'-0"
We are always amazed how many times when our staff goes on vacation and finds a Screenflex Portable Room Divider on their trip. 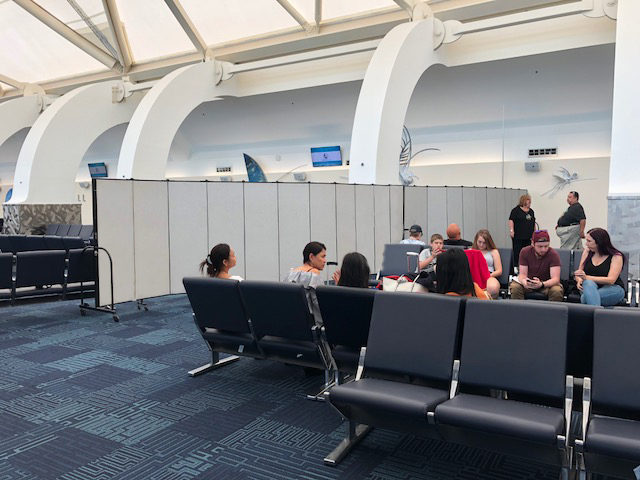 Here, our team members were at the Port of Miami about to board a cruise ship when the ship experienced connectivity issues which delayed boarding. 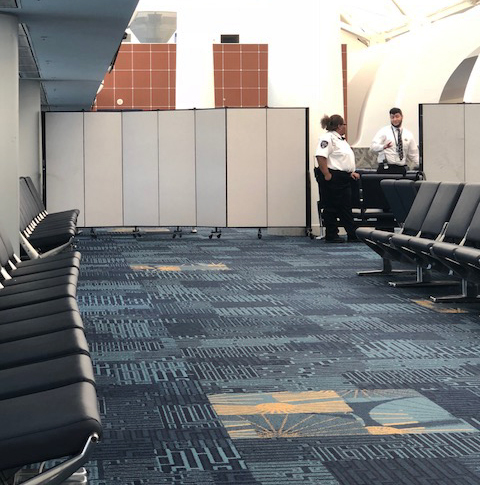 Port Authority team members were able to quickly open their Screenflex Portable Room Dividers to restrict access to the boarding lines. 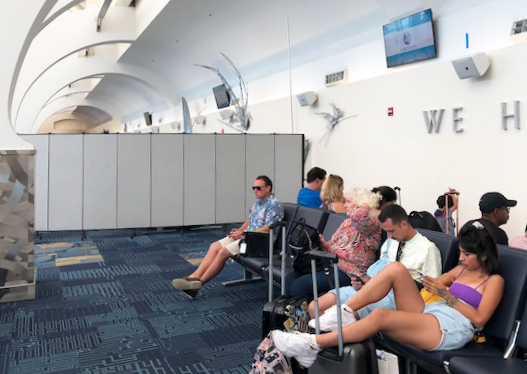 When passengers were allowed to board the ship, the movable walls were used for crowd control by creating different boarding lines for passengers with different needs. 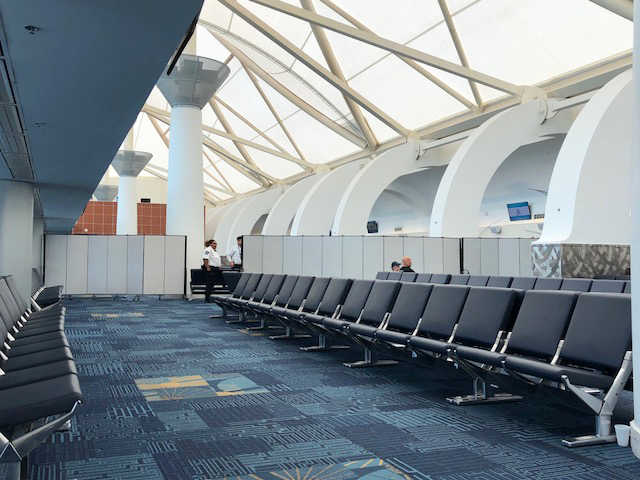 View how others have used Screenflex Room Dividers for crowd control in their facility.